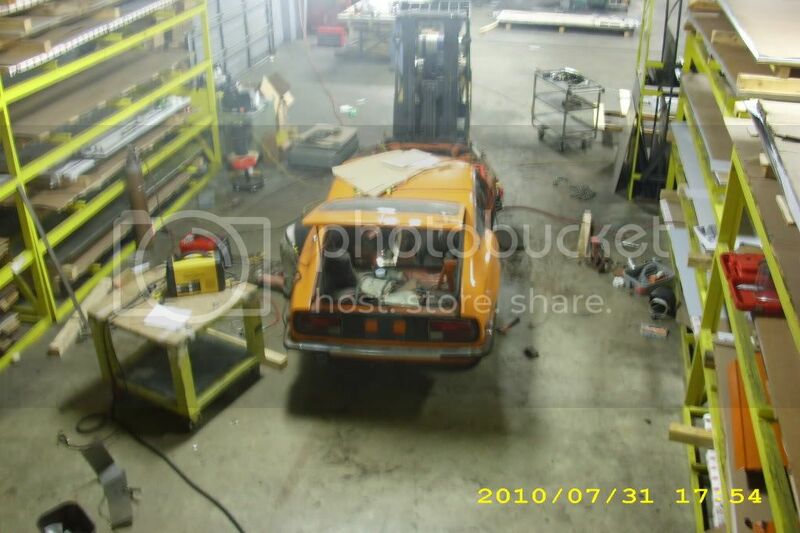 I bought Braden's 240Z a while back. I drove up from the middle TN area and brought it back on a U-Haul trailer. 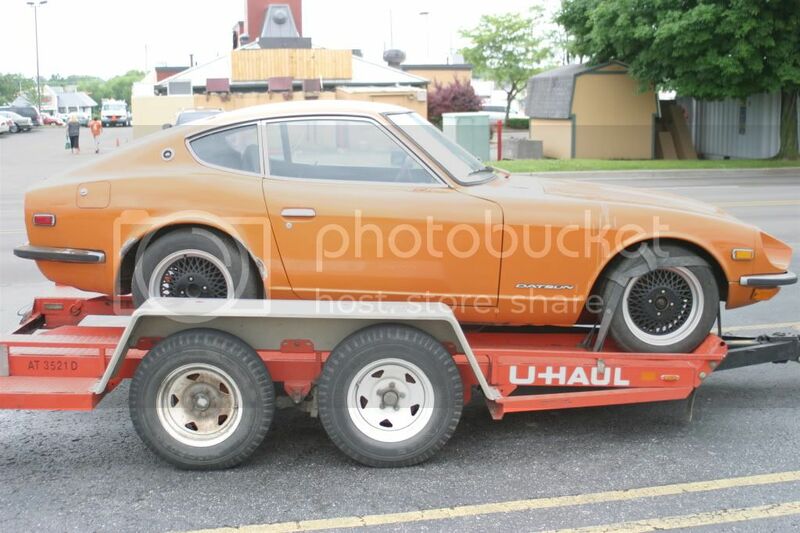 After talking to Braden through email and seeing the car on this forum, I had pretty much decided to buy it no matter what so I took the trailer with me all the way from TN. 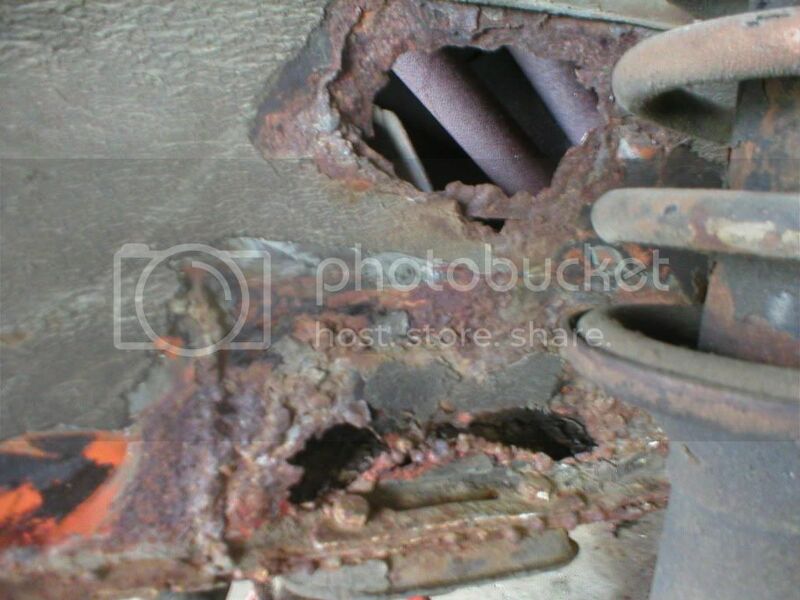 I knew it had a lot of rust, but I am still discovering just how bad it is. Braden had begun to cut out the floor boards and that is where I began once I got it home. I cut and cut and cut. I cut so much that I am careful about moving it too much until I get some metal put back in. 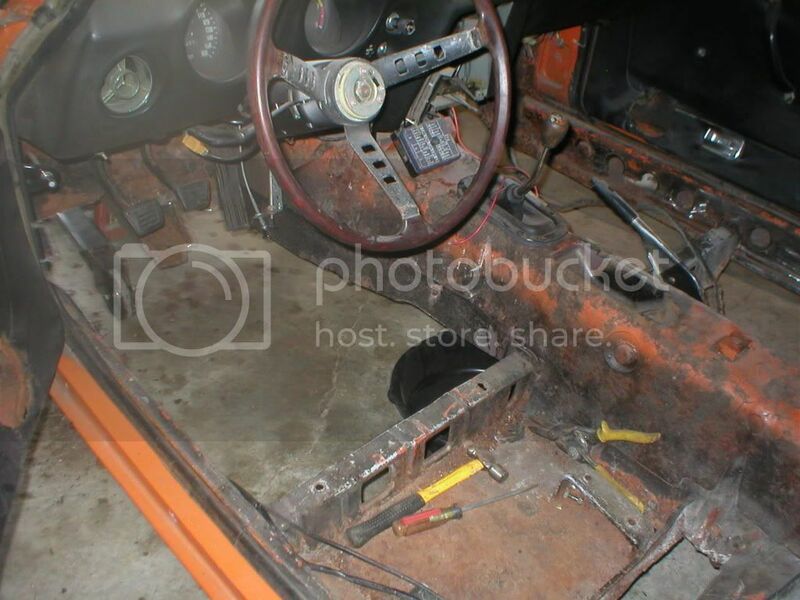 The rust is so bad, all of the floors are gone, most of both firewalls are gone, and most of the front frame rails will be cut out. 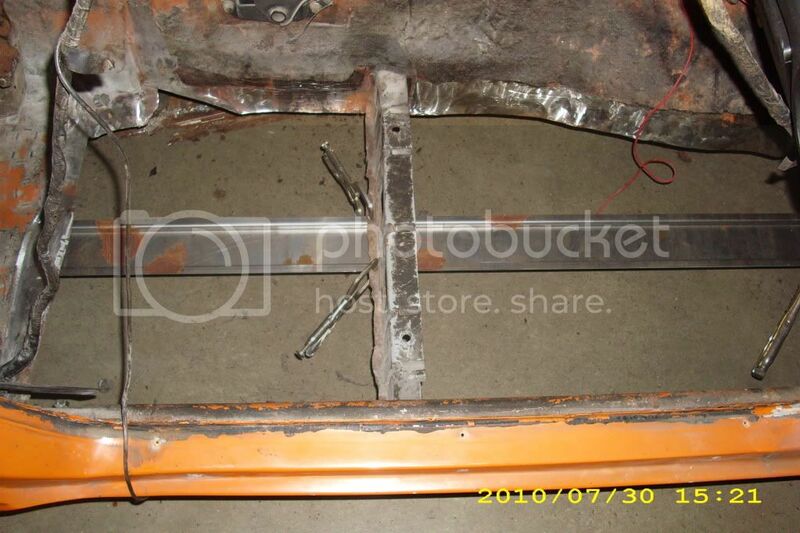 Other areas include one door hinge mounting area and several areas such as inner fender, bumper mounting area, etc. In earlier times, someone had made extensive repairs that had not lasted. 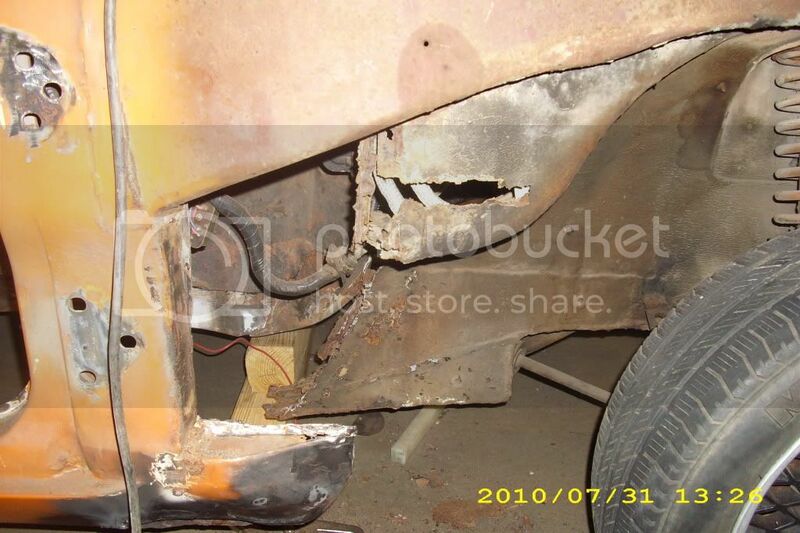 I found non-original sheet metal and well as thick compound that was spread over the floor boards and worked into the rocker panels. This undoubtedly trapped dirt and water and ultimately made things worse. Luckily, I run a sheet metal shop and have access to talented people who can help me make and weld in new metal (hope I can afford their weekends!). I have cut out just about all I want to until I get it to work. 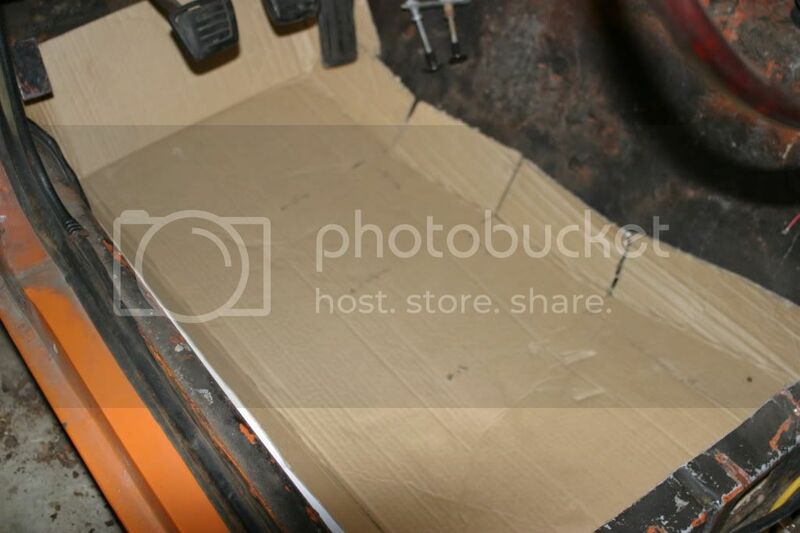 Shown in one of the photos is a cardboard template I made for the floor boards. 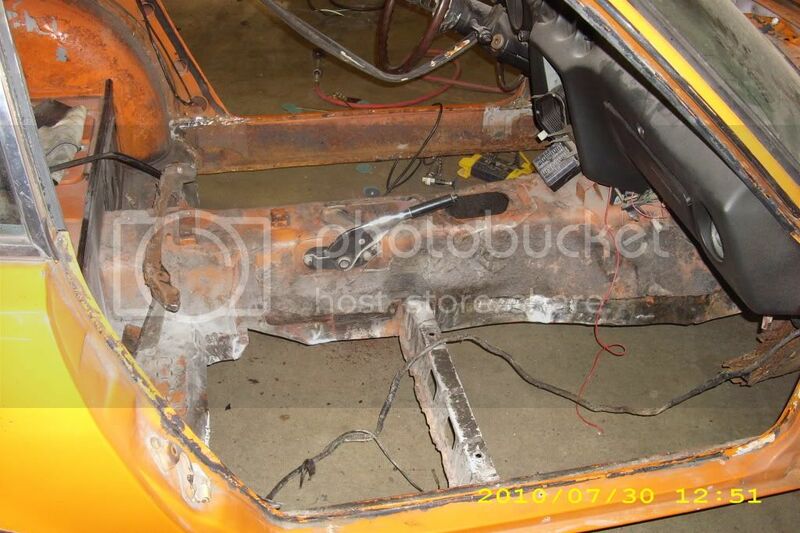 I have removed the fenders and will also pull the engine to make access to the firewall and frame areas much easier. If anyone has any advice to offer, I could certainly use it. This will by far be the largest and longest automotive project I have attempted. My goal is to have the metal and engine back in by the end of the year so I can assess and begin to address the mechanical issues. rscottm, welcome to DMT. 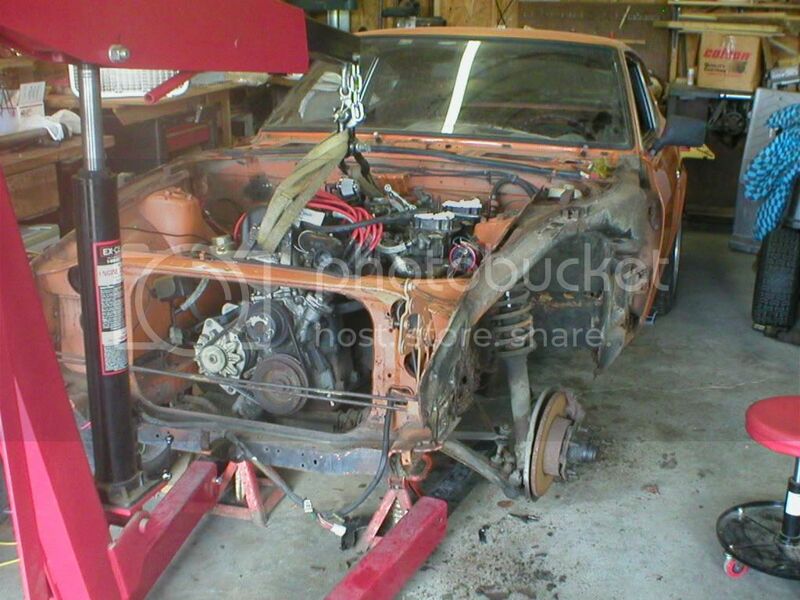 u are doing a wonderful job by taking it apart and thoroughly going thru everything. 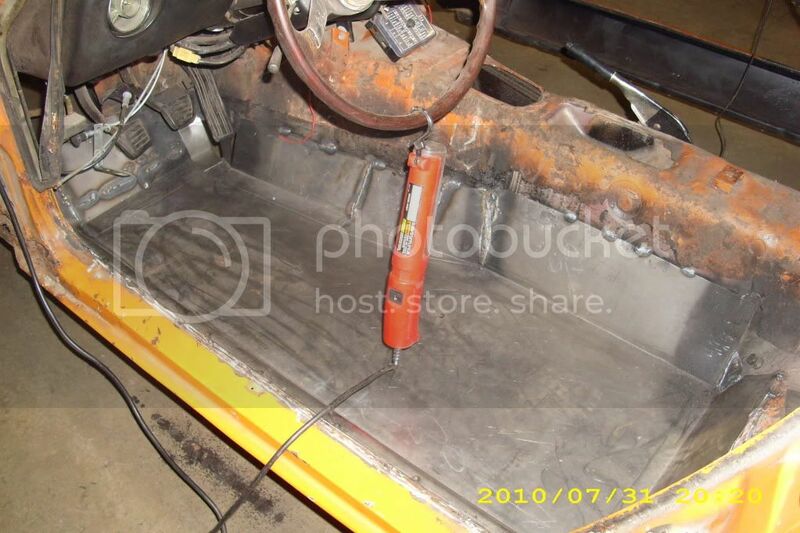 i don't know what your shop charges but if u search carefully you'll find companies that make repro floorpans for 240-280 Z's at a reasonable price. 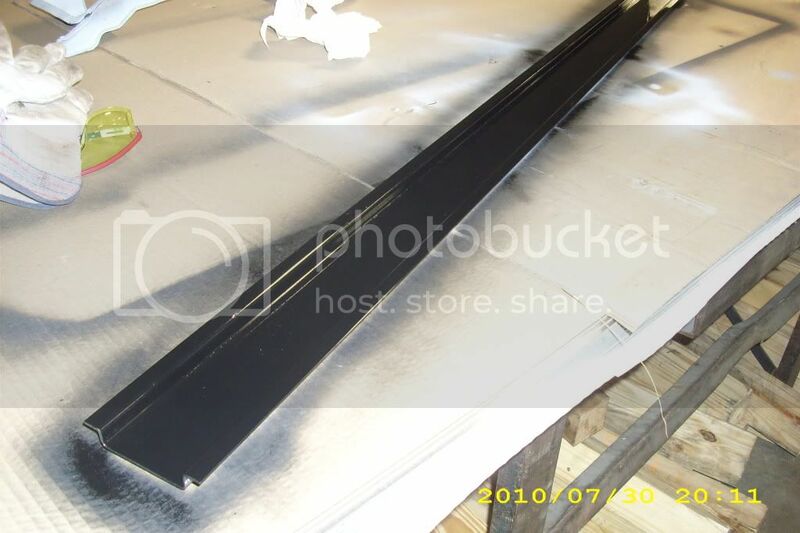 i remember seeing a JC whitney catalog carrying patch panels and floorpans for your Z. at the pace you're going i think the metal work will be done by the end of the year and it's going to turn out pretty nice. smooth620, thanks for the suggestions. 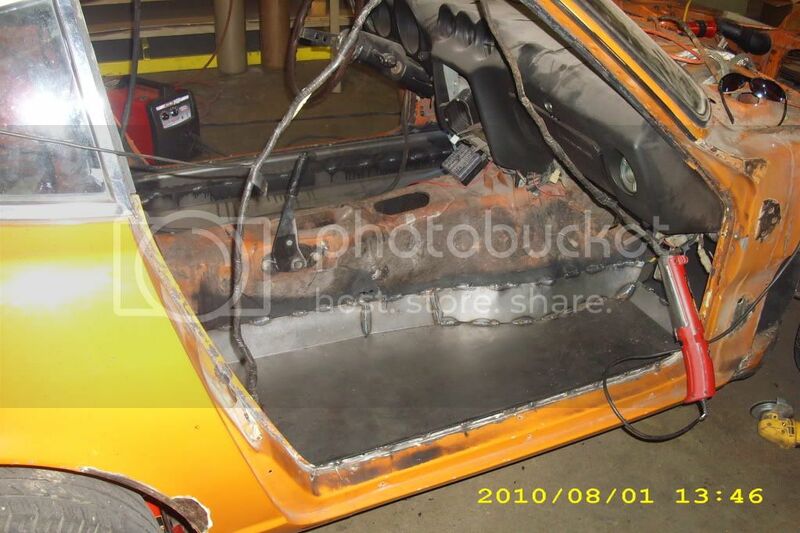 I had looked at some of these ready-made floor pans but I had to cut up higher on the transmission tunnel and firewalls than these cover. I think once templates are made, it will be fairly easy to fab the parts. 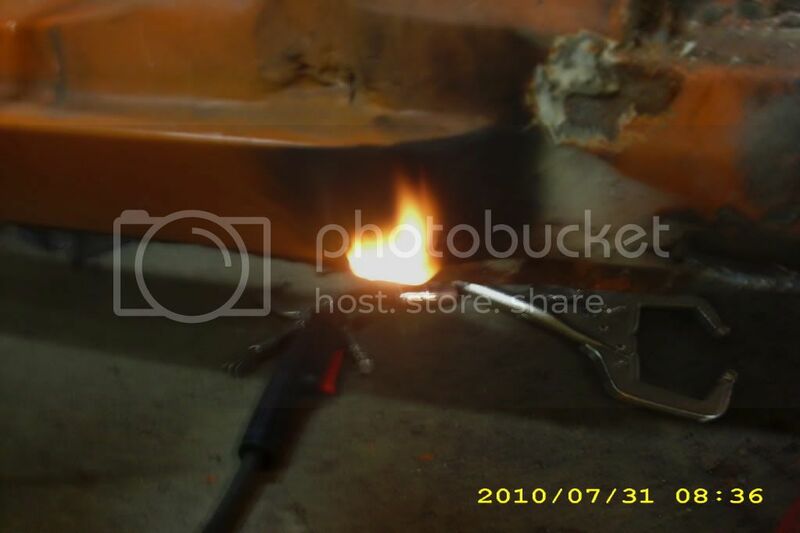 The more difficult part will be killing all the hidden surface rust and then welding everything in to last and look good. I also plan to make the pans a little thicker than the ready-made versions. I am not very familiar with Datsun trucks - do you have one on here? 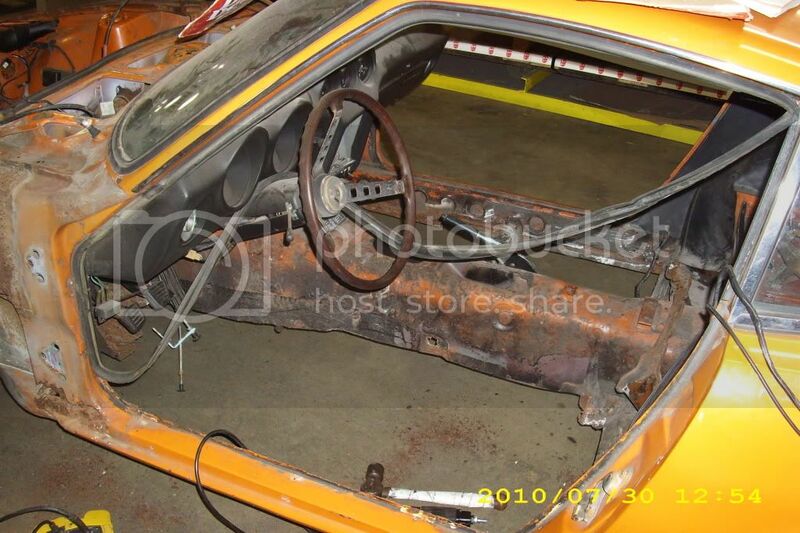 SAVE THAT Z, I am very pleased to see this Z being stripped and brought back to life! scott, i currently have 2 trucks that i'm working on, you'll find them in the 620 section. 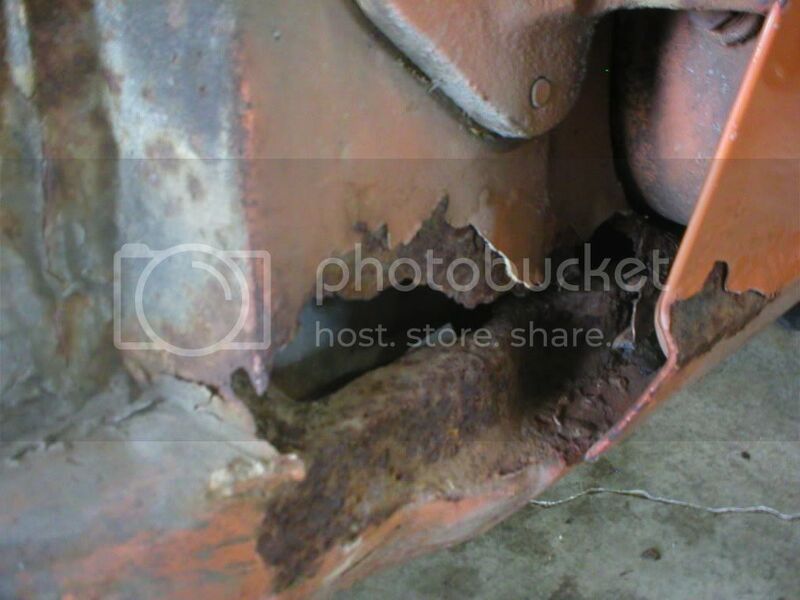 my '76 has similar rust issues like yours, usually the passenger side floor and rocker panel but the firewall is solid. Spent all weekend with the Z at my workplace. I had two helpers - one to fabricate parts and one to weld them in. Between the three of us we logged 85+ hours since Friday. 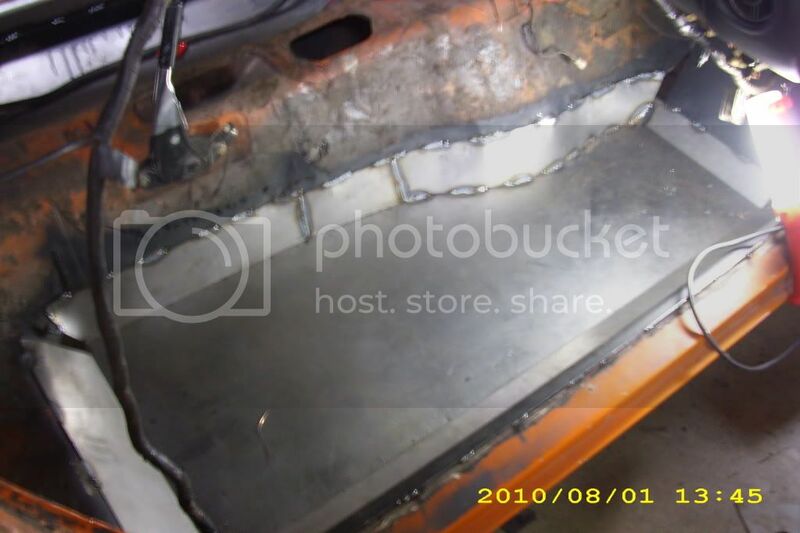 This is what we got accomplished: two new one-piece floor pans made from 14 ga steel, new under-floor frame rails made from 14 ga steel, new 14 ga firewall pieces as well as about four or five inner fender patches. 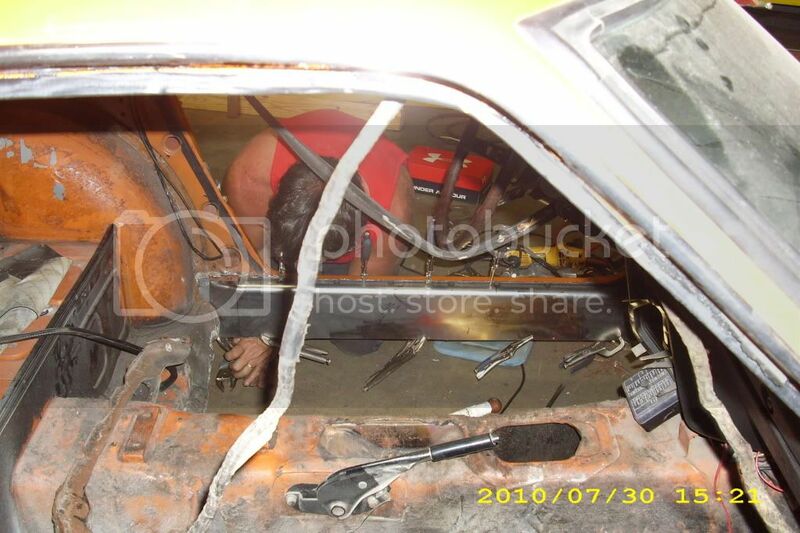 We ran the under-floor frame rails all the way back and tied them into the rear cross-members like many people do if they are going to install a V-8. 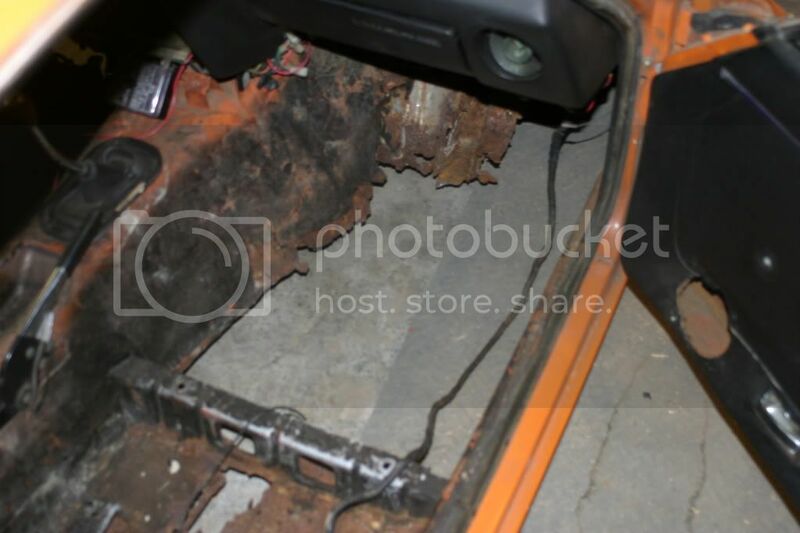 Next is to finish an inner fender rebuild in the area under where the battery sits and then move on to building and replacing the front engine bay frame rails. 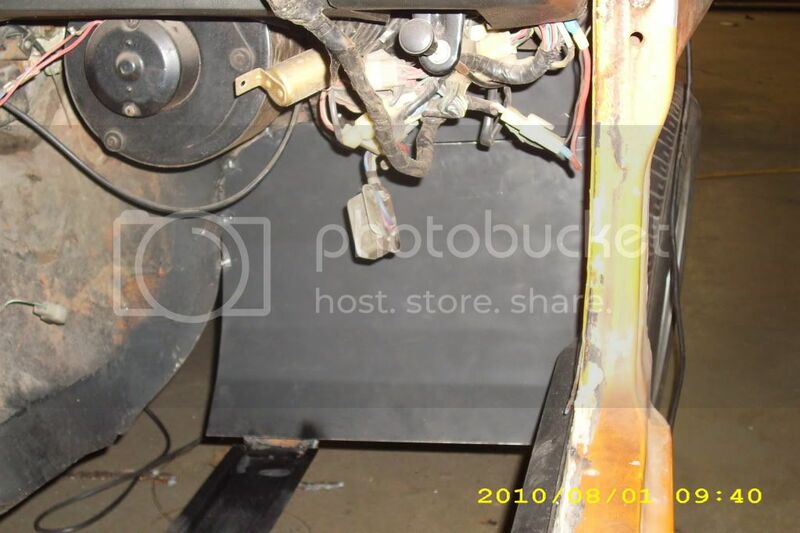 Then I will install all of the newly bead-blaster seat mounting brackets and then finish welding out all of the places I saved for when I can do it at home and then do the finish grinding on all of the patches for a hopefully unnoticeable repair job. I will post photos soon. Too sore to get up and get the camera. I will. 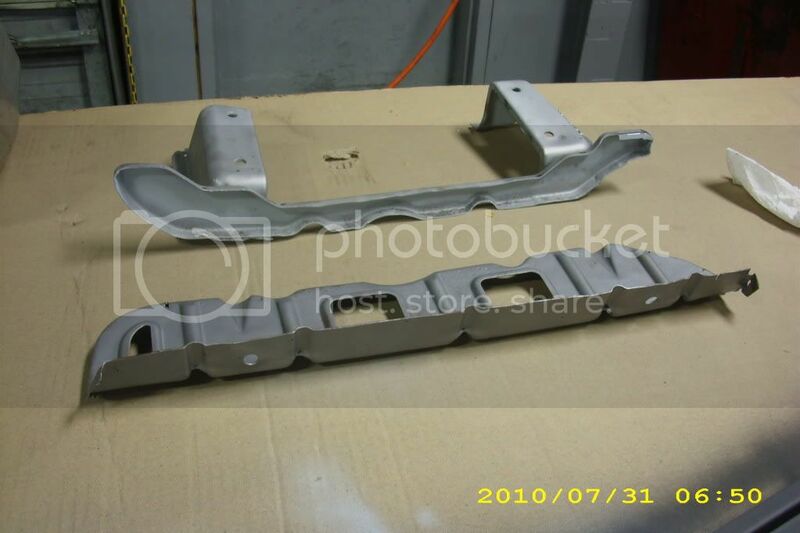 I forgot that we made new 14 ga solid outer rocker frame rails. 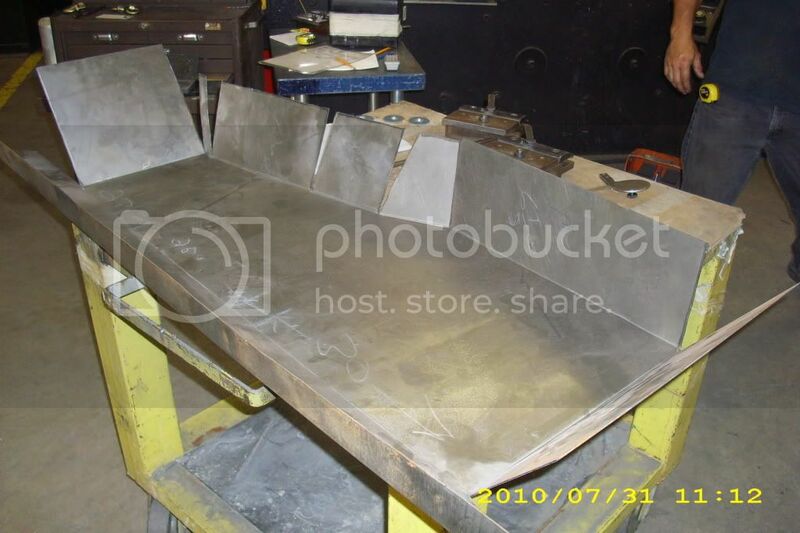 I knew we had to have gotten more done and this part took a long time to cut out the old ones and make, fit, and weld to the outer rocker's thin sheet metal. 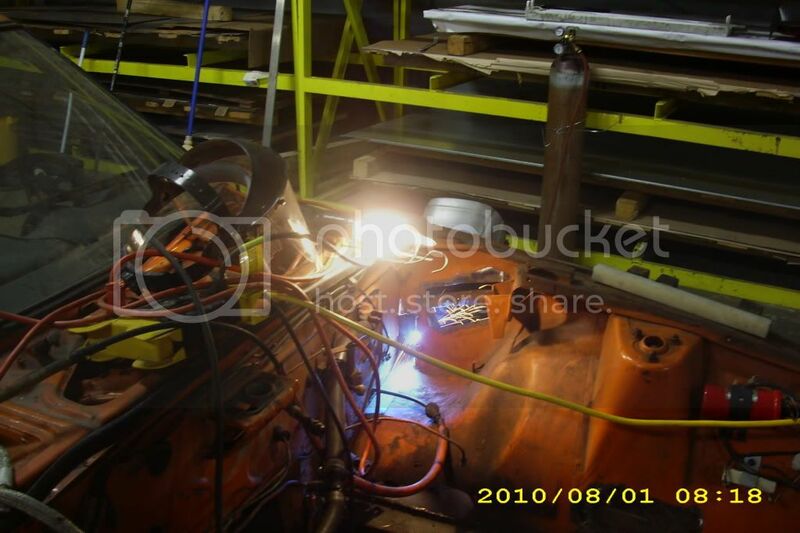 Photos from the structural work.